Aeithalas said with envy. I envy you. 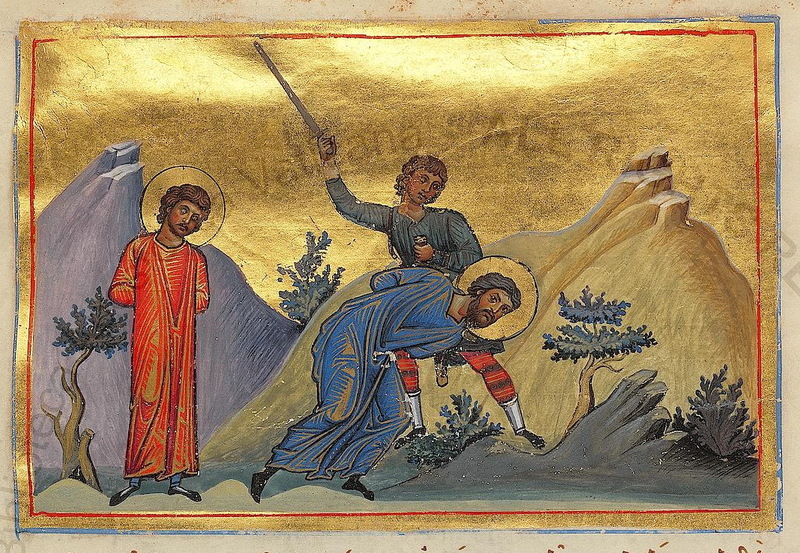 These Holy Martyrs were from Arbil in Persia, and lived during the reign of King Shapur II (309-379). Aeithalas was a priest of the idols. He came to the Christian faith in the following manner: he was suffering with a flow of blood, so he went to the Bishop of the Christians and he was healed by him of his illness in a miraculous way. After being catechized by this Bishop in the Christian faith, he returned to his own city and became a teacher of piety, for due to the persecution against Christians at the time, the city had been bereft of Christians who had fled elsewhere. Recognized there for formerly being a priest of the idols, he was accused to the ruler of the city, and confessed before him his faith in Christ. The ruler therefore ordered that the former priest of the idols watch the gruesome execution of the Christian Deacon Varhadveshava, so that he might renounce his conversion to Christianity. 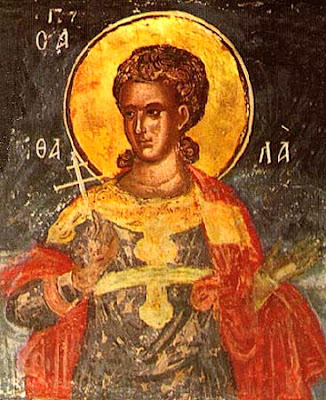 As soon as the deacon was executed, Aeithalas ran to venerate and kiss his sacred relic, and anointed himself with his martyric blood. Then he announced that he was willing to suffer the same for the love of Christ. When the ruler saw that the execution emboldened him rather than made him cower with fear, he had one of his ears severed and had him sent to prison. 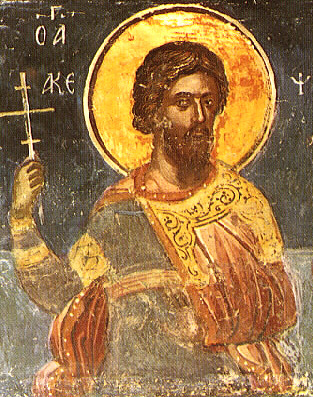 Saint Akepseis was a Deacon that was also arrested for his faith in Christ. For not renouncing Christ he received a severe beating, then he was sent with Aeithalas to the chief magi of the king (a position of great honor in Persia). The chief magi then brought them before the king after questioning them. After a grueling one day march, they were offered their liberty by the king if they would renounce their faith. Refusing to do this and boldly proclaiming their faith in Christ, they were ordered to be decapitated. Their blessed martyrdom took place in the year 354.